Provide avid college sports fans a cloud-based application to quickly find historical sports-related information whether it is about a college team, year, coach, player or opponent. The application provides users historical footage dating back to the late 1940s, notifies them of the latest uploaded videos and invites them to support existing ones. To seamlessly migrate thousands of historical videos to the cloud and provide a tool to mine the content of the videos by multiple categories. The application requires high-quality streaming video and easy-to-use social sharing and media linking. delaPlex created a web-based application for managing the content on the multi-tenancy mobile apps. We developed multiple interfaces with third-party components, including a mobile application on Android and iOS. JW Player and Firebase were integrated for high-quality video integration and to provide a user-friendly interface. Dynamic social sharing links were created to provide users with a high touch experience. Fastest feature-rich video player for streaming videos smoothly and keeping viewers engaged. Supports video advertising standard, like VAST and VPAID, and integrates seamlessly with any video ad server, ad network, or ad exchange, including full support for Google IMA. Maximizes online video ad revenue on every browser and device, including mobile & OTT platforms. Social sharing and dynamic linking feature allow custom design for user redirection and better application engagement. Firebase analytics for app marketing and performance optimizations. Provide a cross-platform messaging solution for reliably delivering messages at no cost. Firebase App Indexing gets your app into Google Search for user engagement. Firebase Ad Mob monetizes mobile apps with targeted, in-app advertising. National Collegiate Sports Archives, LLC ("NCSA") is the creator and owner of "The Vault." 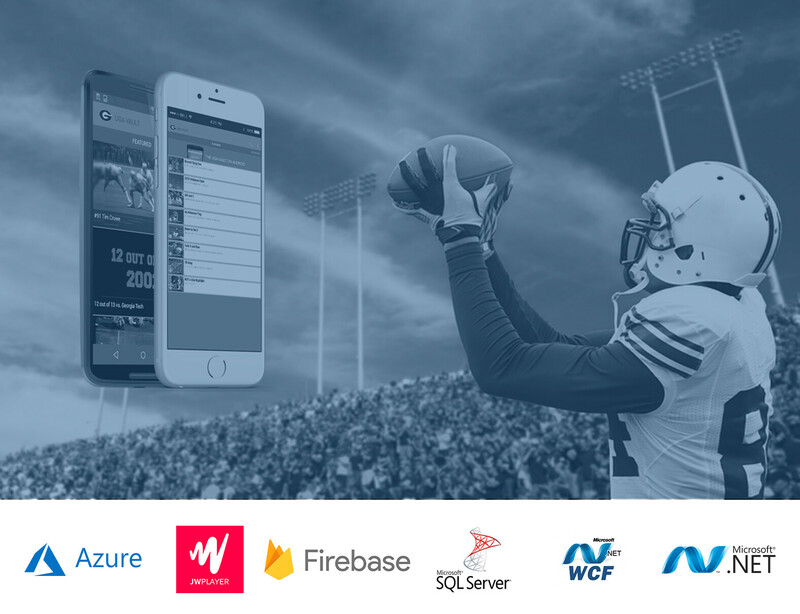 NCSA's business is acquiring unique and precious archival sports footage from leading schools and digitizing it for the ultimate purpose of providing mobile Apps for iOS and Android and large-scale advertising and social media platforms connecting college sports fans.